Pit Stop USA has the perfect exhaust system for your street and strip machine. PitStopUSA.com carries exhaust systems and cat-back exhaust kits that are a fantasic way to increase performance and power and give your ride that great sound you have been craving. Exhaust systems feature mandrel-bent pipes for smooth-flowing exhaust and are available in aluminized metal or stainless steel. Street Performance USA is The Online High Performance Superstore! We feature Buick Exhaust Systems at low everyday prices. Street Performance USA is The Online High Performance Superstore! 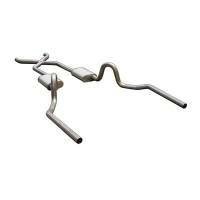 We feature GMC Truck / SUV Exhaust Systems at low everyday prices. Pit Stop USA is The Online High Performance Superstore! 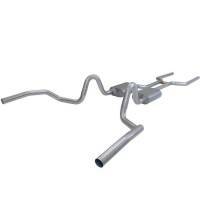 We feature Jeep Exhaust Systems at low everyday prices. Pit Stop USA is The Online High Performance Superstore! We feature Plymouth Barracuda Exhaust Systems at low everyday prices. Pit Stop USA is The Online High Performance Superstore! 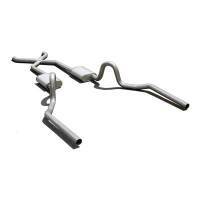 We feature Pontiac Grand Prix Exhaust Systems at low everyday prices. Street Performance USA is The Online High Performance Superstore! 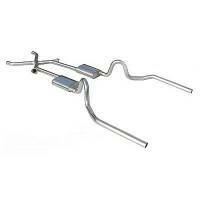 We feature Pontiac Ventura Exhaust Systems at low everyday prices. Pit Stop USA is The Online High Performance Superstore! 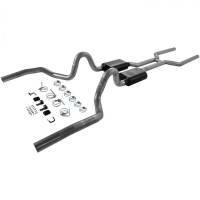 We feature Toyota Truck Exhaust Systems at low everyday prices. We feature Exhaust System Components, Exhaust System Parts, Exhaust Pipes, Exhaust System Parts, Racing Exhaust System Parts, Exhaust System, Racecar Exhaust System, Racing Exhaust System, Exhaust System Components, Exhaust System, Racecar Exhaust System, Racing Exhaust System at low everyday prices!